Are you suffering from headaches or sinus problems? Do you dust your furniture, only to find a sprinkling of fine dust settling down on everything again shortly afterwards? Chances are that it’s time to clean your air ducts. For over 20 years, Air Quality Systems has been providing Norcross and the greater Atlanta area with premier air duct cleaning. We specialize in removing dust, dirt, debris, and mold from residential and commercial HVAC systems. At Air Quality Systems, we use the “total source removal” method of cleaning—the only method recognized by the National Air Duct Cleaners Association. 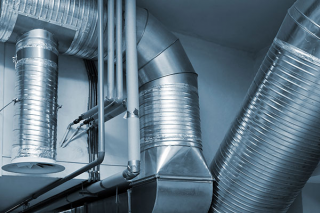 Our state-of-the-art equipment has been specifically designed for ductwork cleaning. You can feel confident that you’ll breathe nothing but clear air after we’ve cleaned your ducts. If you’re ready to find relief from the sneezing, itchy and watery eyes, stuffy heads, excessive dusting and musty odors in your home or office, give us a call today!